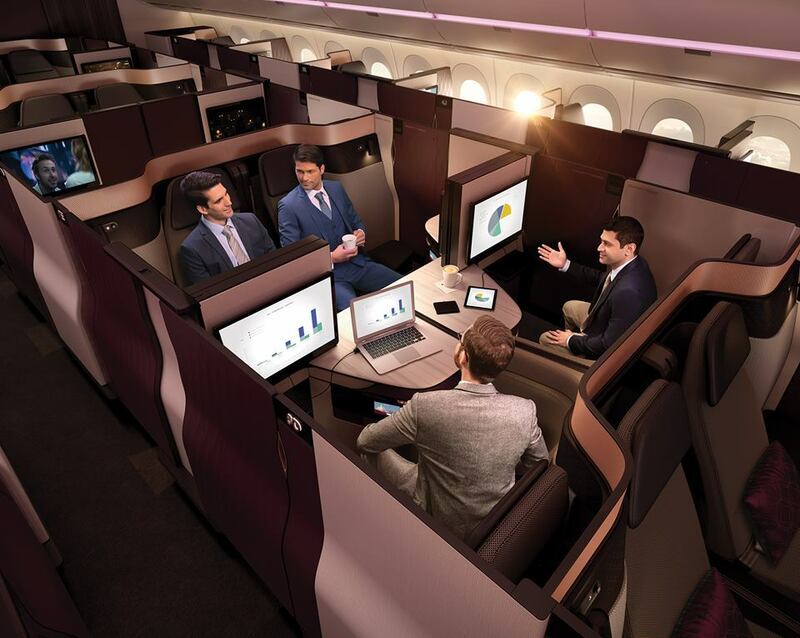 Qatar Airways have made their award-winning business class cabin Qsuite available for travelers at JFK Airport. For a limited time only, travelers passing through at the John F. Kennedy International Airport in New York can get into a model of the award-winning Qsuite and experience the top notch business class service offered by Qatar Airways. These setups can be found en route to Terminal 5, home to Qatar Airways codeshare partner and New York-based airline JetBlue, until February 7. 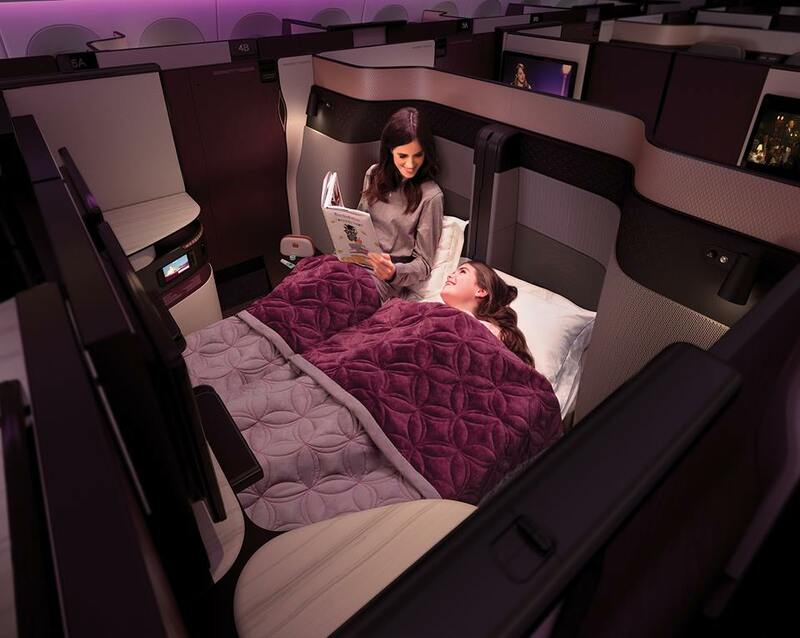 This unique opportunity will give travelers the opportunity to experience the luxurious seats that Qatar Airways offers its business class flyers. Qsuite has the first ever double bed on a commercial flight, as well as a customizable configuration that allows friends and family travelling together to turn their individual cabins into one large room. These new features ensure that travelers enjoy the utmost privacy and comfort during their flights. Items from the the Qatar Airways Business Class menu will also be available at the display seats, which are fully prepared for liftoff. Qsuite made its first US flight last month onboard a flight from New York City’s John F. Kennedy International Airport, and were recently launched onboard flights from Washington D.C.’s Washington Dulles International Airport. Qsuite is also available on flights from London Heathrow Airport and Paris Charles de Gaulle Airport.